Pi Craft is dedicated to making healthy delicious hand crafted pizzas using fresh ingredients, served in a fast casual style. With our state of the art revolving pizza oven we can cook our American-Italian inspired fare in about 6 minutes. The toppings are unique and always fresh giving you thousands of topping combinations to create your own pizza for one price. Or try one of our delicious signature Pi's. We use an ancient European yeast culture and 4 flours to create a unique whole grain artisan crust. Our original recipe is not an American style bread pizza, or super thin European crust, we fall somewhere in the middle. Our state of the art revolving stone oven reaches temperatures upward of 1000˚F, while the floor temperature typically ranges between 600˚ to 800˚ F. Because of this high temperature, we can cook pizza or sandwiches in about 3-6 minutes. Ember Wood Fire Grill is a nontraditional, sharing restaurant. All of our food, wood-fired pizzas, steaks, chops, pasta, and seafood, is prepared fresh and is designed to be served when it is ready. Therefore we encourage sharing. Sharing is a very social and economical way to dine. Our style is not the traditional: “Soup, Salad, Appetizer, and then Entrée.” We strive to be fresh, simple, and unique. From scratch cuisine using the best ingredients from sustainable sources, whenever possible: selections with no growth hormones, pesticides, pre-packaged, frozen or use of steam tables will be used in our kitchen. Our food is high quality and labor intensive, the same as some of the top restaurants in the country, without the big city over-head. 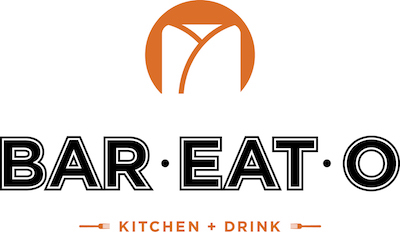 Bar-Eat-O offers over 24 fresh, non-processed ingredients, including authentic braised meats, organic tofu sofritas, and from scratch salsas and sauces. With special grilled meat recipes, fresh vegetables and condiments, there are 1000’s of possible flavor combinations. Our food options cover the likes of vegetarian/vegan lifestyles, special need diets, kids, and of course the meat lover. The average wait in line time is an estimated 3-5 minutes, we pride ourselves as a healthy alternative to fast food. Bar-Eat-Ooffers several catering options to meet your special occasion and party-planning needs. Our Catering spreads are a fantastic option for work lunches, family gatherings, office parties, special occasions, school functions, sporting events or just for a good time! Let us help make your event great! Finding a great wedding caterer is stressful - let our experienced team do the work so you don't have to. Once hired, your personal food truck coordinator will gather the best options available and help you select the caterer and menu that's right for you. Whether you want a unique food experience for your wedding reception, rehearsal dinner, late night snack or next day brunch, we are at your service. Feeding your student body has never been easier. From outdoor school carnivals to cafeterias under renovation, we'll bring our food truck where traditional catering cannot go and leave no mess behind. We can customize for any experience. Our food truck can create a “Turn Key” fundraiser for your school, church, or other charitable organization. Food Trucks make a wonderful addition to any event and, with their current popularity, they are a natural attraction for even larger crowds. Food Trucks make for a very simple way to include attractive food for your event. No booths to worry about, no health department inspections and little or no cleanup afterwards. Everyone enjoys kicking back at the local brewery and enjoying a great tasting brew. The beer is at its freshest, you can talk to the people that made it, and drinking beer at its birthplace is just plain cool! There's one thing that's missing from many of them though – food. We're willing to coordinate with local brewers to ensure that the guests at your next party or event leave with their stomachs full! Bring our food truck to your next employee or client appreciation day, team building exercise or simply to reward your staff with gourmet food. Including a catering option in your employee incentive program is a great way to motivate your staff. Business park lunches are the solution to work sites where food choices are limited. Feed hungry crowds at your next block party, street fair, or high school football game with a fun and exciting food truck. Make food a reason to attend and get your attendees eager to eat. Delicious, modern and on-trend, food trucks appeal to the senses and drive food and beverage concession sales. Wow your guests and give them (and your graduate) a unique and fun experience with food truck graduation catering. Put your budget towards something a little more impressive than the standard cheese pizza fare. Sit back, enjoy the festivities, watch your guests dive into a delicious meal and then watch the mess drive away! Please Note: Private events must have a minimum of 75 people in attendance. Flat rental fee options are available as well.